2014 March 29: Great in Smoothies, Baked goodies and more! Matcha Green Tea Powder-Organic Great in Smoothies, Baked goodies and more! Looking for a product that would give you all day energy and also increase focus and improve skin health? Matcha Green Tea Powder by Kiss Me Organics is the answer! This Organic Matcha is great to add in smoothies, lattes and you can even bake with it! What is really impressive is that it is 137x Antioxidants of brewed green tea. I like that it is all natural & organic and is a calorie burner! Green Tea is not usually a favorite of mine but I really love this way to drink Green Tea! Matcha provides 4 to 6 hours of mild steady energy as it acts as both a stimulant and a relaxant. This is ideal for focusing on whatever the day throws your way. Consuming matcha green tea can increase thermogenesis (the body’s own rate of burning calories) from a normal 8%-10% of daily energy expenditure, to between 35% and 43% of daily energy expediture. ​Scientists have discovered that Matcha Green Tea helps protect the skin from harmful UVrays, while improving blood flow and oxygen levels lifting the overall quality of the skin. 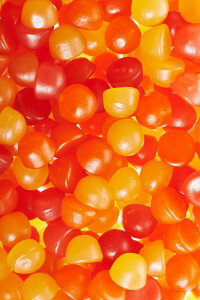 Antioxidants are essential as you age to boost your body’s natural defenses against oxidation. Researchers have found that a high level of dietary antioxidants can prevent many age-related diseases. You can find this product on amazon and you receive a FREE Matcha Recipe Guide EBOOK with purchase: 50+ Recipes All Yours-Emailed After Purchase. I received the EBOOK and I love the recipes! My favorite so far are the Berry Good Morning Smoothie and the Refreshing Matcha Cooler. I plan to try some of the baking recipes next! 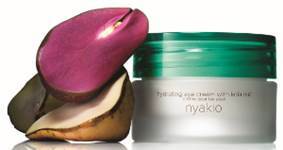 African Ingredients – Now Found on a Beauty Counter Near You! Move over chemical formulations! As seen in today’s New York Times article, many luxury brands are swapping previously used ingredients for ingredients from and indigenous to Africa. 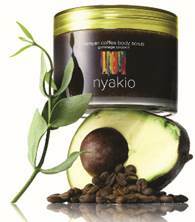 Pioneering this trend is Nyakio Kamoche Grieco, founder and namesake of nyakio™, a collection of skincare products featuring key African ingredients and oils, including Trichilia Oil, Ximenia Oil, Mongongo Nut Oil, Kenyan Coffee and Kola Nut. 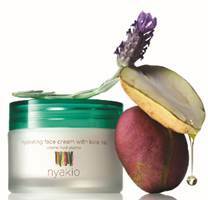 nyakio products are a highly effective way to exfoliate and hydrate skin – just in time for spring. Please consider the following nyakio products as you begin to work on upcoming stories about spring or about Africa as the new “it” spot. I received samples of the Hydrating Face Lotion with kola nut and SPF 20 sunscreen and I love this face lotion! It just feels great on my skin and I love that it has SPF protection! I also received the hydrating lip balm and this works immediately to soften lips! It now is my new favorite lip balm! For more information on these products, check out the website! Self Disclosure: I received free products to facilitate this feature. nyakio sponsored feature. Photo credit: nyakio. 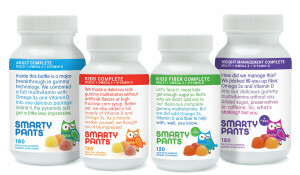 Smarty Pants Delicious Gummies Vitamins for both Kids & Adults! I don’t like swallowing pills or vitamins so I am always on the look out for a better way to take vitamins. I was happy to receive samples from Smarty Pants! They make Gummies for both children and adults. My son can be a bit particular so I put the children’s Gummies to the test and they passed! The Kids Complete Multi + Omega 3+Vitamin D were his favorite and I love that they also include Vitamin D. They also have a Kids Complete + Fiber Multi + Omega 3+ Vitamin D with no sugar added. This also passed the test although my son prefers the other one. I tried the Adult Complete +Fiber Multi+ Omega 3+ Vitamin D (no sugar added) and the Adult Complete Multi + Omega 3 +Vitamin D and am very impressed! They really are great tasting and easy to take! All-in-One Gummy Multivitamin + Omega’s 3+ Vitamin D and 11 other key nutrients! 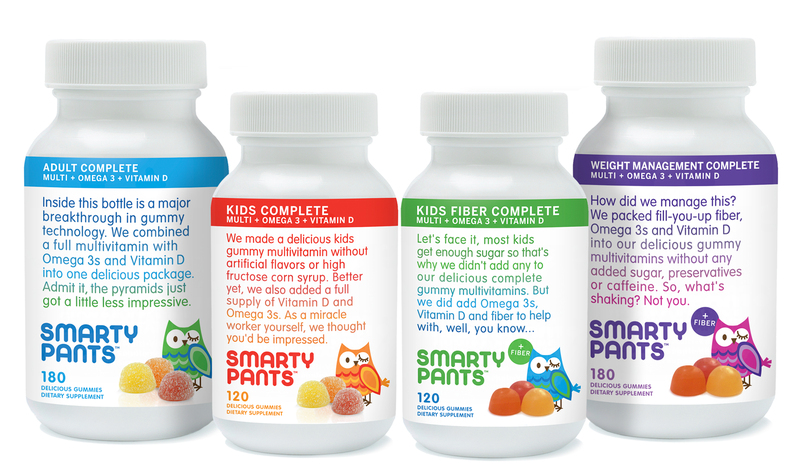 I also love their website with free online content to help families stay healthy and happy at http://www.smartypantsvitamins.com Check them out on Facebook too! They have great offers and deals! Self Disclosure: I received free samples to facilitate this feature. Creates 3 Dimensional Art Realism for Kids without the Mess. Ambient Design www.artrage.com, the leading award-winning creator of realistic art painting software for Mac, Windows, iPad and iPhone, announced today that ArtRage for iPad is the winner of the 2014 Parents’ Choice Gold Award for the Best Mobile Apps at: http://www.parents-choice.org/product.cfm?product_id=32397&StepNum=1&award=aw. Available immediately at the Apple iTunes Store, ArtRage for iPad is the most realistic art app and software helping kids become creative on the go without the mess. ArtRage was chosen for the Parents’ Choice Award because it does a “remarkable job of imitating not only the professional tools and paints of artists, but also the 3 dimensional way artistic mediums react and build on a canvas,” said Parents’ Choice. “For example, a hunk of oil paint can be squeezed out of a tube of paint and it sits realistically on your canvas waiting to be spread and molded with great accuracy using a palette knife, brush, or any of the other tools. Any tool that is chosen can be manipulated using a finger or a stylus,” they concluded. ArtRage will be exhibiting at the NAEA 2014, the annual convention of the National Art Educators Association, March 29-31, 2014 in San Diego. At booth #632, the latest versions of ArtRage will be shown for Windows, Mac, iPad and iPhone and the upcoming version of ArtRage for Android will also be previewed. The Parents’ Choice Awards is the nation’s oldest nonprofit program recognizing quality children’s media to help parents and caregivers of all achievements and backgrounds make informed decisions about which new products are right for their children. For more than thirty-three years, the Parents’ Choice Awards have honored the best products for children: books, toys, music, storytelling, magazines, software, videogames, television and websites. With a panel of educators, scientists, performing artists, librarians, parents, and even kids themselves, the Parents’ Choice Awards identify the very best products for children of different ages, backgrounds, skills and interest levels. Paint Strokes: High quality rendered strokes show the amount of paint on the canvas. Oil Brush and Airbrush: With thickness and smearing. Palette Knife: For spreading and blending pigment. Optional Tap and Hold Color Sampling. Tools: Paint Roller, Paint Tube, Eraser, Inking Pen with auto-smoothing and pressure simulation, Pencil & Marker Pen, Chalk & Crayon. Watercolor tracking shows paper wetness as you paint. Settings: For fine control of each tool and custom tool presets for storing favorites. Unlimited: Unlimited Layers, Undo, Redo, and Color Samples. Reference & Tracing: Images and digital camera support for referencing and tracing images and importing images to help you as you paint. Support for Bluetooth pressure-sensitive styluses. Largest canvas for realistic paint on a mobile device: 2048 x 2048 pixels. Recording: Paint stroke recordings can be played back in ArtRage 4 in Mac and Windows. Sharing: Features file sharing, importing and exporting. Updates for: Import Popover Dismissal, Landscape Mode Drag, and Color Sampler. After the special pricing period, ArtRage for iPad will be available for $4.99 at the iTunes store at Apple iTunes Store. ArtRage 4 for Mac and Windows is also available with more advanced features, priced at $49.90. For more information, see www.artrage.com, ArtRage for iPad Features: http://www.artrage.com/artrage-ipad-features.html, Twitter: https://twitter.com/ArtRage_Radar, Facebook: https://www.facebook.com/artrage . Tutorials on deviantArt: http://artrageteam.deviantart.com/gallery/, Tumblr: http://ambient-design.tumblr.com/. Parents’ Choice serves as a trusted and independent source for educators and librarians, journalists, as well as families searching for quality children’s media and toys. Their website has been honored by the Webby Awards, the Interactive Media Awards, the Communicator Awards, and Educational World among others. Parents’ Choice champions the importance of quality children’s media. The multi-tiered Parents’ Choice Award evaluation process is as true to its integrity today as it was when Parents’ Choice Foundation was established almost thirty years ago. The Parents’ Choice Awards Committees’ evaluation process offers objectivity, respect, and expertise – and all with a sense of humor. Learning is fun – and they want kids to know that. For more information, see http://www.parents-choice.org. Ambient Design Ltd. is a New Zealand-based global software development and publishing firm, specializing in creative applications and user interfaces for artists of all ages and all levels of competency, including professionals, hobbyists and students. The principals have over 40 years experience in combining complex image processing algorithms with an easily accessible user experience. Ambient Design Ltd. was founded in 2000 by Andy Bearsley and Matt Fox-Wilson, formerly of MetaCreations, the developer of Painter, Bryce and Kai’s Power Tools. Ambient Design’s products are available in 12 languages and have been downloaded over 30 million times. For more information, see www.artrage.com. Self Disclosure: ArtRage sponsored post. Looking for comfy socks that are 100% cotton and are really comfortable? Wearever Socks by Buster Brown: Wearever offers 100% cotton socks made by Buster Brown for maximum comfort and durability. Appropriate for those with poor circulation, easily irritated skin, or diabetes, Buster Brown 100% cotton socks are made with no elastic or synthetics. The seamless design of Buster Brown cotton socks with cushioning improve comfort, reduce binding, and eliminate skin irritation. Wearever currently offers three comfortable styles of socks. We have teamed up for a Giveaway! 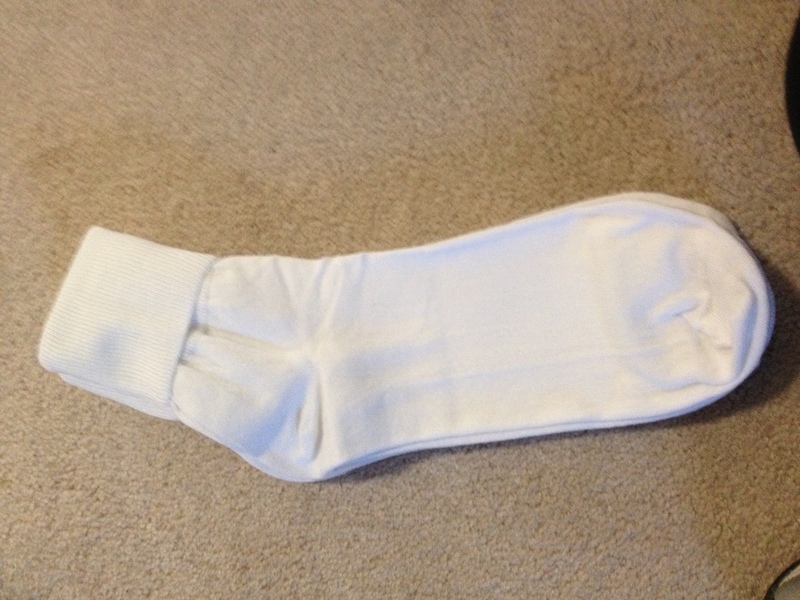 Would you like to win these socks? Leave a comment below telling us why you would like to try them. Deadline to enter is April 1st, 2014 at midnight. One winner will randomly be selected from all entries.